A product from: KUZU FLEKS Metal Hortum ve San. Tic. A.S.
KUZU FLEX Inc. is since year 2000 a reputable sector leader in designing, developing and manufacturing most technologically advanced; high precision parallel corrugated mechanically reformed flexible metal hoses which prevail steam, gas and liquid tight after frequent bending even though installed in complex applications that challenge extremely severe conditions. We are not only experts in the complex process of corrugated hose making. We are also intensively involved in the development of new applications in every industrial and innovative sector. KUZUFLEX flexible metal hoses are manufactured in state-of-the-art facilities out of grades AISI 316L & 321 stainless steel with various wall thicknesses between 0,15 and 0,40 mm. These are corrugated in regular-narrow and wide ring shape geometries and have different nominal diameters ranging from DN6 up to DN50. Applications where extraordinary high pressure resistant hoses are needed are especially one of our strengths. According to customer request any hose type can be armored with one or multi layer AISI 304 stainless steel wire braiding. Readymade metal hoses with orbital welded stainless steel end connections or soldered brass & copper fittings can be assembled as to customer specs. Especially gas hoses are equipped with PVC corrosion protective covers in yellow color. KUZUFLEX provides such customer-oriented services as quality and delivery control, along with before and after service. Each and every hose is carefully tested for leakage and weld or solder resistance KUZUFLEX is committed to continual R&D and investments to achieve total customer satisfaction. 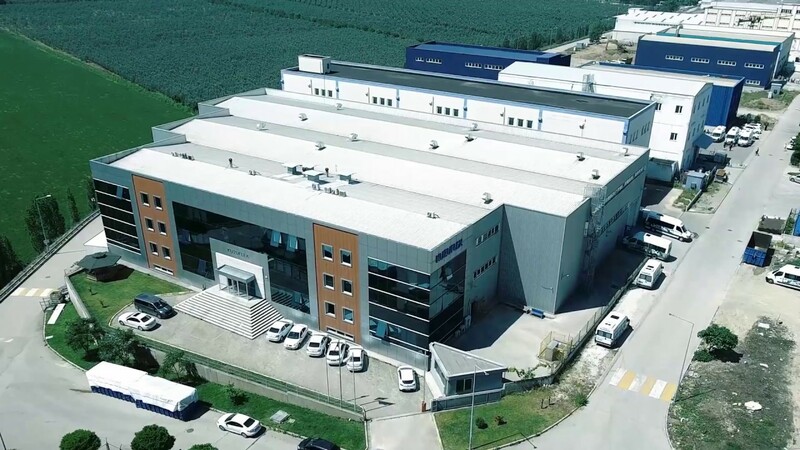 Our own mechanical engineering department is able to respond swiftly and flexibly to the requests of our customers.It is a company principle of KUZUFLEX to just use the highest in quality raw materials originating from Europe and Korea, which undoubtedly contributes to product quality right at the first step. Complete assemblies with brass, carbon steel or stainless steel fittings and standard-corrugated hoses or specific geometric properties can be produced rapidly. Our particular strength is revealed, above all, in meeting special requirements. In analyzing your application and production methods, we bring all the experience we have acquired in comparable situations to bear. As a result, it may be that we already have the solution you are seeking for. Our large stockholding of mainstream range products is constantly updated to ensure swift delivery service. The average delivery period seldom exceeds a fortnight. Our products not only prevail in the homeland market but also gain broad popularity abroad. We proudly announce that 94% of our product line is being exported of which the major part goes to Europe followed by Russia and Scandinavia. Our registered brand name is KUZUFLEX. Without making the least concession in safety and quality our reasonable prices as well as short delivery periods give us the opportunity to easily compete against well-known world brands. KUZU FLEKS Metal Hortum ve San. Tic. A.S.